What do we have left when everything we knew disappears? The clouds are lying low over the geest as Ingwer Feddersen, 49, returns to his home village. There is something he has to make amends for. Grandmother Ella is in the process of losing her mind; Grandfather Sönke is steadfastly holding his ground in the village pub. He has seen better days, just like the whole village. When did this decline begin? In the 1970s, when after the land reform first the hedges and then the birds disappeared? When the large farms grew and the small ones died away? When Ingwer went to university, walking out on the old man and his guest house? Dörte Hansen has written a warm-hearted story about the disappearance of a rural world, of loss, parting and of beginning anew. 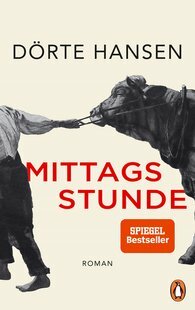 "Dörte Hansen's new novel is a literary event. Her readers will be rightfully enthralled."